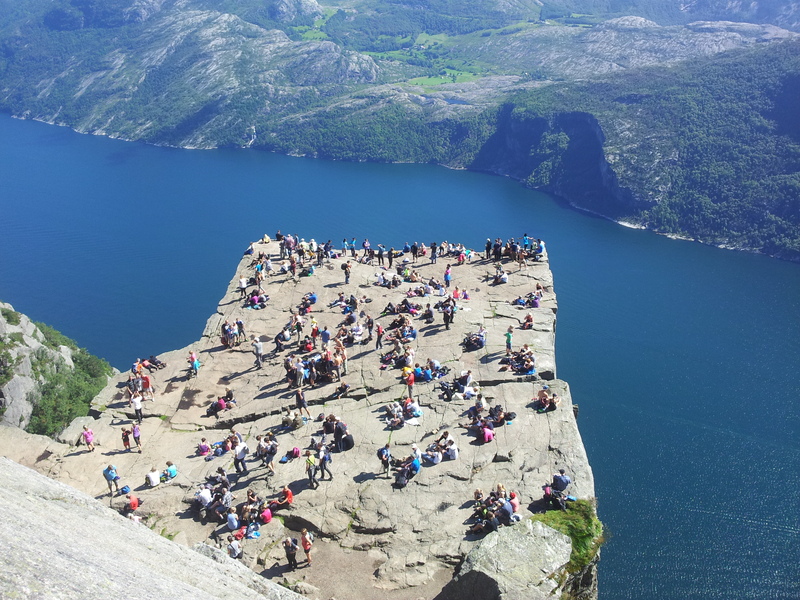 Here is a simplified, updated version of how to get to Preikestolen (Pulpit Rock) for the year 2014. Take the ferry that goes from Stavanger to Tau. Take a bus from there that drives to Preikestolen Fjellstue (Preikestolen Mountain Lodge in English). The parking lot where the bus ends its journey is right next to the trail that goes up to the top. It takes around 2 hours to hike one way. There are two companies to choose from. With Tide Reiser you can buy your tickets directly on board the ferry to Tau. The roundtrip ticket for both ferry and bus costs 250 Norwegian kroner. You may also buy the bus ticket at the tourist information office in Stavanger. You can find their timetable here: Schedule Tide Reiser. The other company is Boreal. With them you will have to buy the ferry ticket on the ferry (94 kroner roundtrip), and the bus ticket on the bus or at the tourist information office (150 kroner roundtrip). You can find their timetable here: Schedule Boreal. You have two options. Either take the ferry I mentioned earlier to Tau (142 kroner for a car up to 6 meters long plus 47 kroner per passenger one way), and drive heading south on Rv 13, you will eventually be following the signs to Preikestolen. The second option is to drive from Stavanger to Lauvvik, and then take a ferry to Oanes (67 kroner for a car up to 6 meters long plus 28 kroner per passenger one way), and drive from there heading north following the signs. Combine a cruise sightseeing tour with your hike! 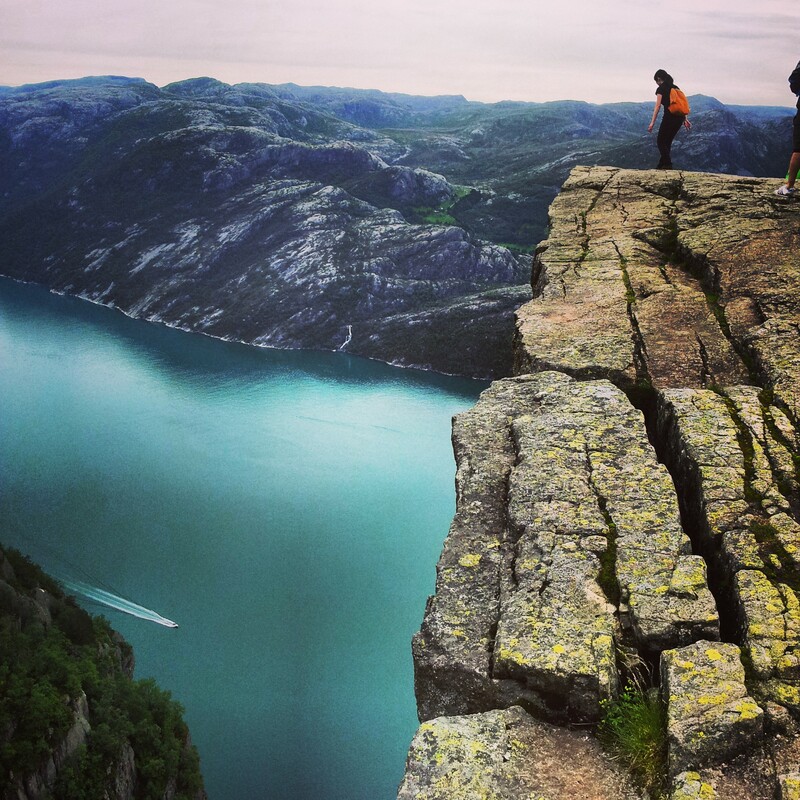 Take a boat from Stavanger to the Lysefjord, and on the return from the fjord, a bus will take you to do the hike. The boat leaves at 10:00 from Vågen, the guest harbour in Stavanger. 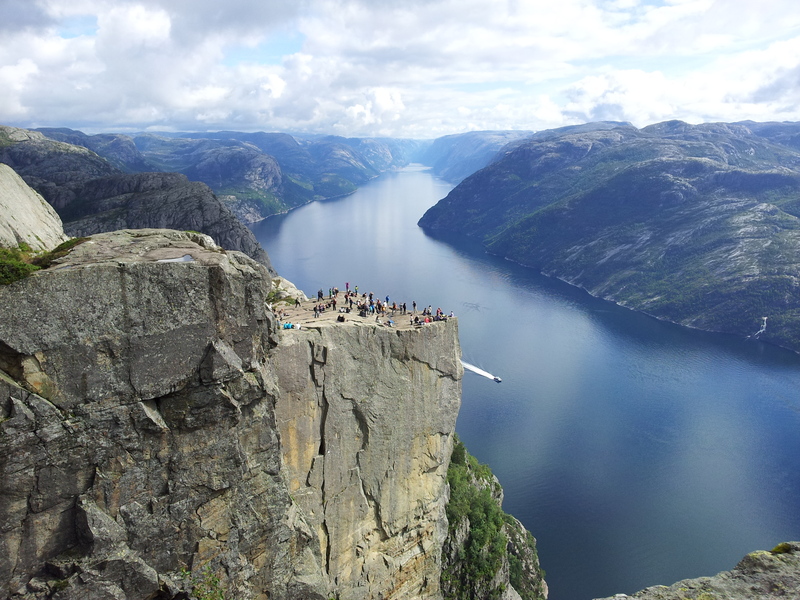 It costs 750 kroner and you can book your trip here: Pulpit Rock Cruise & Hike. Wear comfortable clothes and good shoes. Take some water and food with you. Which one do you think offers the best views, by boat (cruise/hike) or by car? Thanks, Im taking the boat then! Any suggestions going to Kjeragbolten? i’ll be at Stavanger 7/June to 9/June.